The Irish father of the groom wedding hankie features linen along with a shamrock pin. It is a blessing to have you! 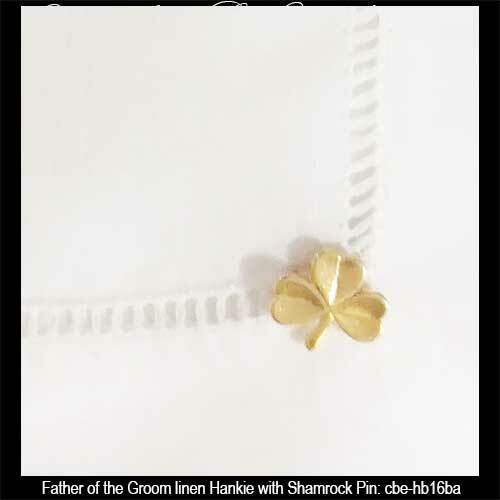 The father of the groom Irish wedding hankie features 100% Irish linen along with a gold tone shamrock lapel or tie pin. The father's wedding hankie is made in Ireland and is gift boxed with a shamrock history card that is complements of The Irish Gift House.